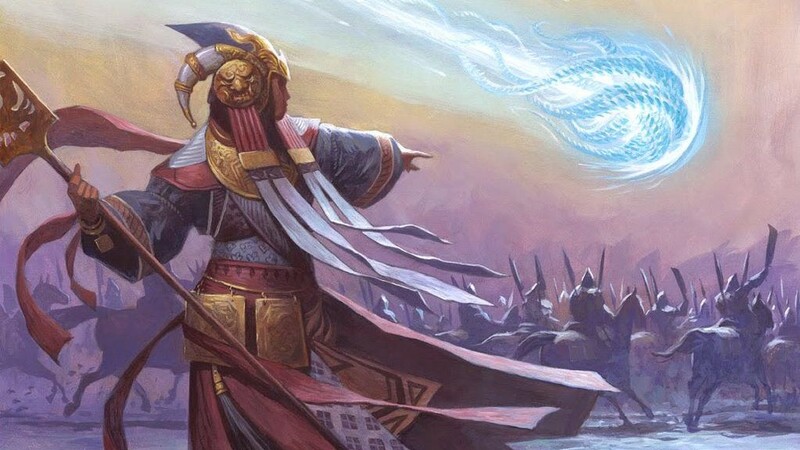 This week I would like to delve into the Fate Reforged clash pack to see if it is worth picking up in order to boost the value of your collection. I’ll look at both the MSRP versus retail value of the singles and then compare them to my opinions of what the future value of the cards will be after their rotation from Standard. I’ll also keep in mind that some of the cards from the decks are alternate art foil, which could reflect their future value. For the alternate art foils, I am going to use the TCG Median price since MTGPrice does not yet track the value of specific clash pack foil versions of cards. I will note the special foils with an asterisk *. The MSRP cost of the deck is $24.99, so picking up the clash pack seems like it offers you great value. However, the retail value of the singles versus the MSRP of the deck doesn’t necessarily mean its a great pickup. Let’s take a look at the more expensive pieces of the decks to see where the best value lies and if the the card is in a position to maintain value moving forward. Then, once all the information is laid out, we’ll have a better idea about the clash pack value. Courser of Kruphix is a popular in card in both Standard and Modern, and this event deck offers an alternate art version of the card. I think that Courser has a very good chance of maintaining a stable price through rotation. I don’t think the card goes below $5 because of its eternal playability applications. The alternate art version will be even more desirable in the future if it stays a Modern, Legacy, or Commander staple. I think that Downfall has some room to drop after rotation. Even though this card is capable of killing planeswalkers at instant speed in addition to creatures, there is more efficient removal in eternal formats. The alternate art version will probably stay around the same price as the pack version in the future. After rotation, I’m predicting about a halving in value retail wise. Whip has a decent chance of maintaining $3 even through rotation due to Commander applications. It is a decent artifact for black Commander decks that gives them lifelink and recursion, all in one neat package. Even picking up singles of the clash pack Whip might be a good play for the future if you can get them for $2.50 or less. I’m not sure how Doomwake Giant goes above $2 any longer at this point. It was reprinted several times in its Standard life, so if you have any extra copies I would be looking to out them as the Standard season approaches May to June. This card isn’t very good in eternal formats so I would not look to pick up the event deck just to get Doomwake Giant on the cheap. Opulent Palace is a good pickup if you can find them for $0.40 or less. The shards lands, before being reprinted in the Commander decks, used to go for $2-$3 at their highest point. Since then they’ve dropped to around $1.50 but that should still tell you something – even after three or so reprints the shard lands are still above $1. Picking any wedge lands you can get for $0.50 or cheaper seems like a fine play to me. This card has room to drop, or possibly grow depending on what type of Standard play it sees. I haven’t seen it do much in Standard yet maybe next year it could have potential. Similar to Doomwake Giant, this probably isn’t going to do much outside of Standard. Not really a reason to pick up a clash pack – this card is pretty much just a casual, Standard-only playable card that is used to some effect in graveyard-based strategies though more so at FNM than at bigger events. This card has the potential to be higher priced come next Standard season. It seems to be one of the premier removal spell from Khans block, so I will be watching it closely throughout the year for an uptick in play time. Not really played in Standard, more a casual fan favorite than anything else. Still, if the card drops to $0.50 or lower after rotation I will probably be a buyer since it really only has nowhere to go but up from there on the back of casual demand. In terms of the clash pack, not a compelling reason to pick it up. See my Doomwake Giant reasoning. I don’t really see it going anywhere unless a breakout deck happens after Dragons of Tarkir for some reason. Not a reason to pick up the clash pack. Is There Value For You? Yes, there are other decent commons and uncomons in this clash pack like Sultai Charm, Brain Maggot, and Nemesis of Mortals, but let’s be honest with ourselves – we’re really only incentivized to pick this package up for the alternate art foils of the better cards in the deck. The only alternate art foils in the deck that are worth a significant amount are Courser of Kruphix, Hero’s Downfall, and Whip of Erebos – hardly a compelling case to pick up the clash pack for future financial value. These three together are only $18.21, seven dollars below the MSRP price of the package. The alternate art, foil Whip of Erebos might have potential in the future, yet at $3 and less I would much rather trade for copies or buy in cash rather than picking up the clash pack. This clash pack is targeted towards casual players, and I would say for them yes, this package is quite the deal compared to buying singles. You get plenty of good cards, like a playset of Opulent Palace, and you do get cards like Courser of Kruphix and Whip of Erebos that will hold most (if not all) of their value through the Standard rotation of Theros block. It is also possible that other cards in the clash pack could be breakouts, however it is better to target those on a singles basis rather than through purchasing the package. I would also recommend against picking these up for long term sealed product gains, as there isn’t anything I find compelling that would make players want to buy this years down the road. So all in all, the price is great compared to retail prices of singles, but if you’re already a serious Standard player you most likely already have all of these pieces and shouldn’t have a desire to pick one up. For the casual players out there, I say this is a great product for you – you get a ton of solid cards for about half the retail price. For those looking for specs from the package, I would say that the best spec target is the Whip of Erebos due to Commander (and possibly cube) demand. First, I’d like to tell you that your website is really really amazing! It’s always full of various pieces of information, and always helpful! I’m currently brainstorming about how and when I should sell my MTG collection, and would love to talk to any of you about it, if you have a few minutes, to get a few advices from experienced people like you all. Sorry if it’s not the place to post something like that! Clash pack MSRP is $29.99, just FYI. So it’s not worth it for speculation in any way.